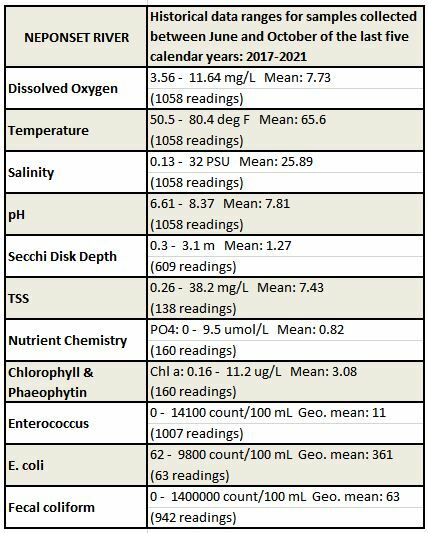 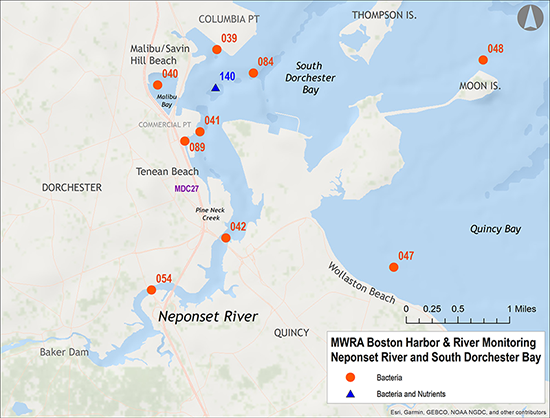 The Massachusetts Water Resources Authority's (MWRA) has been monitoring water quality in Boston Harbor and its tributary rivers since 1989. 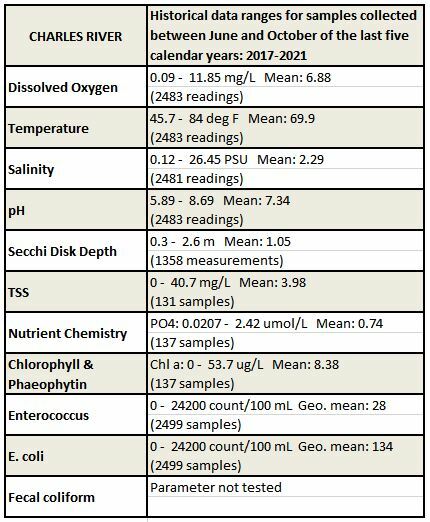 Collecting long-term water quality data helps to identify changes in water quality over time. 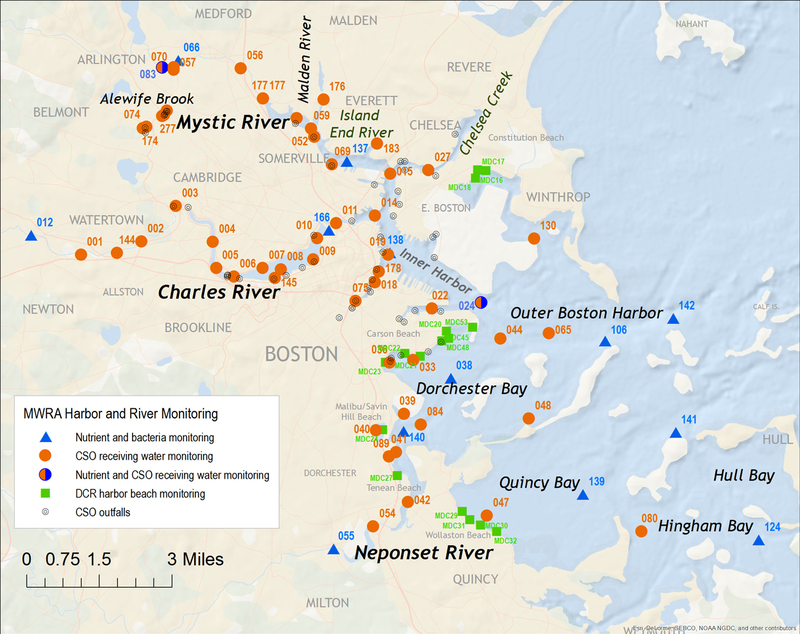 MWRA monitors water quality at more than 70 locations in Boston Harbor and its tributary rivers. 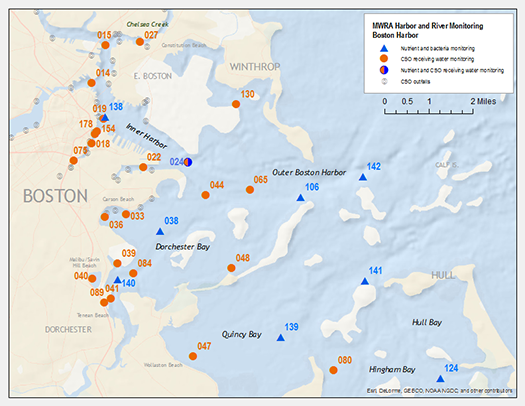 Boston Harbor is an estuary--a marine ecosytem where fresh water from the rivers enters the ocean. 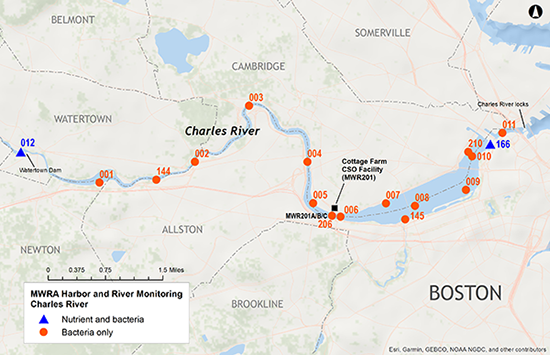 The largest rivers draining into Boston Harbor are the Charles, Neponset, and Mystic. 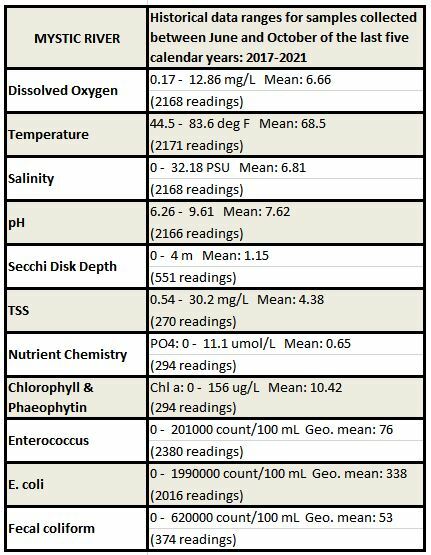 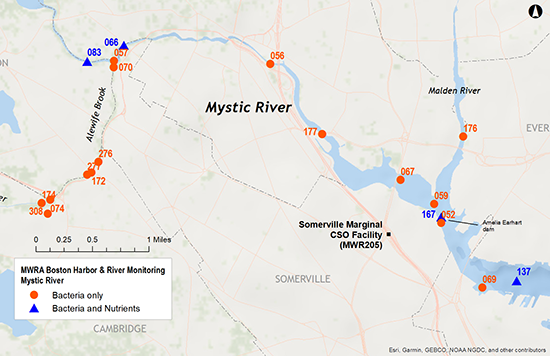 Since 1989, MWRA has regularly monitored water quality in these rivers, measuring bacteria, algae, water clarity, dissolved oxygen, nutrients, and suspended solids. 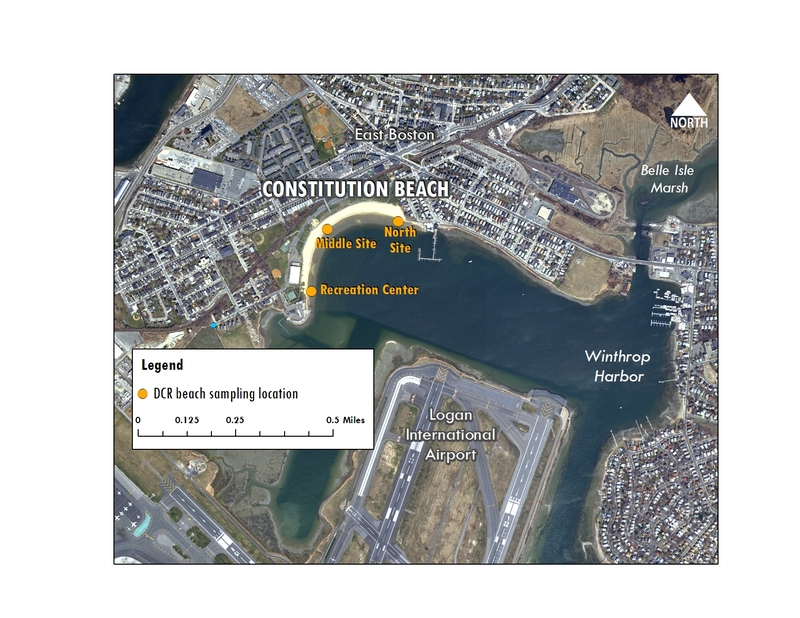 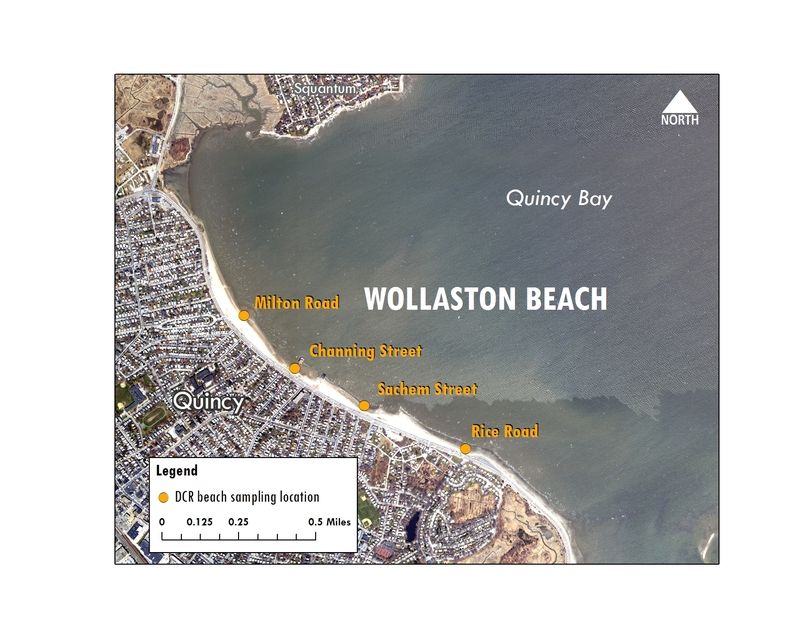 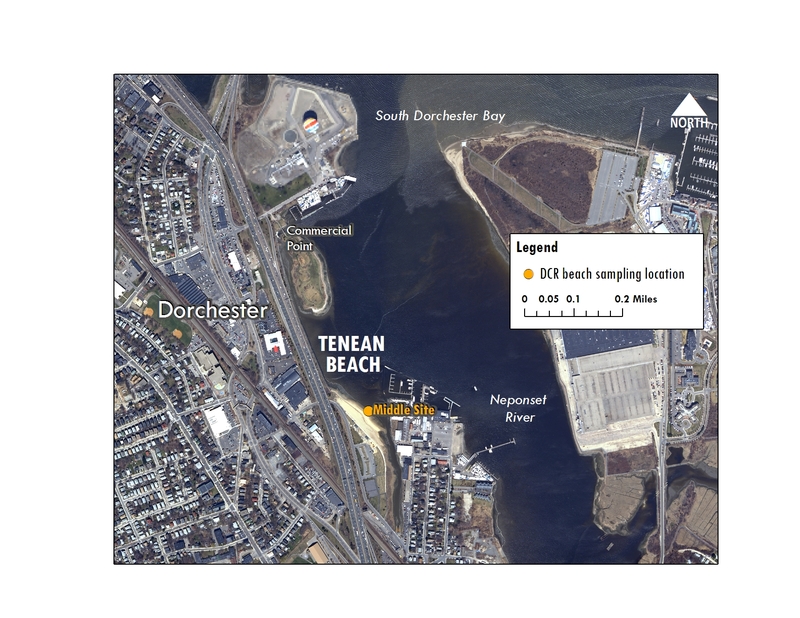 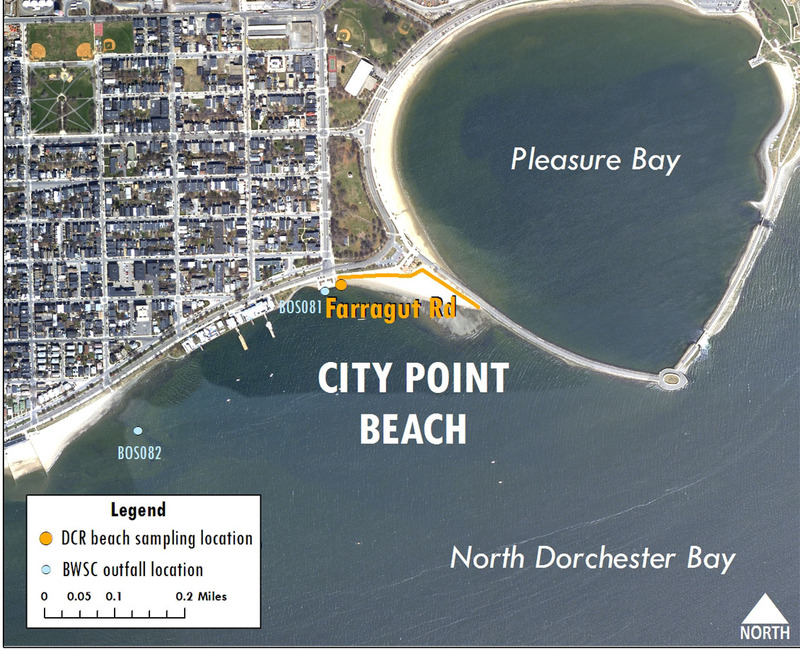 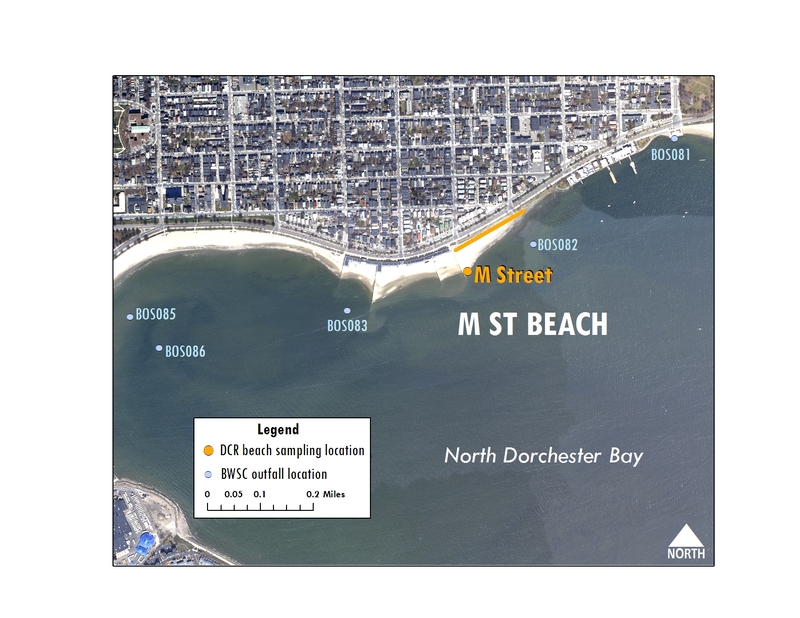 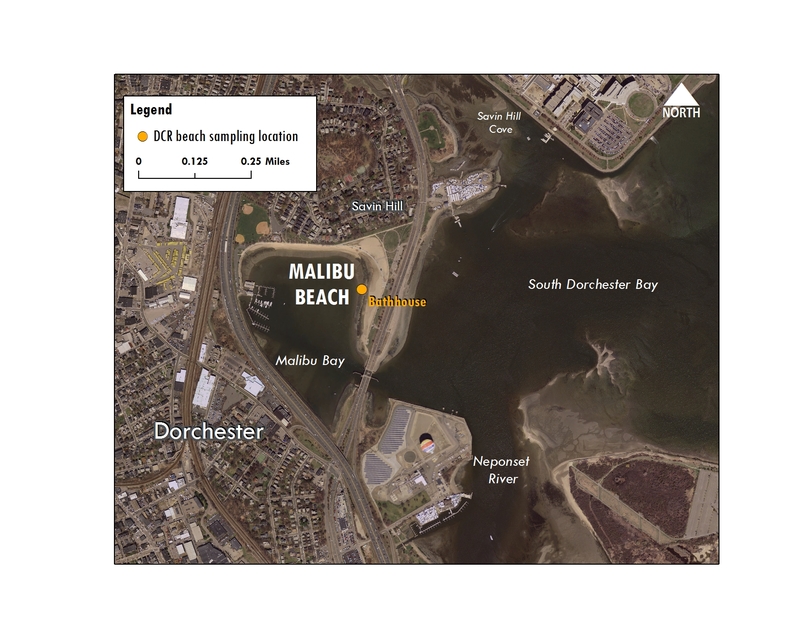 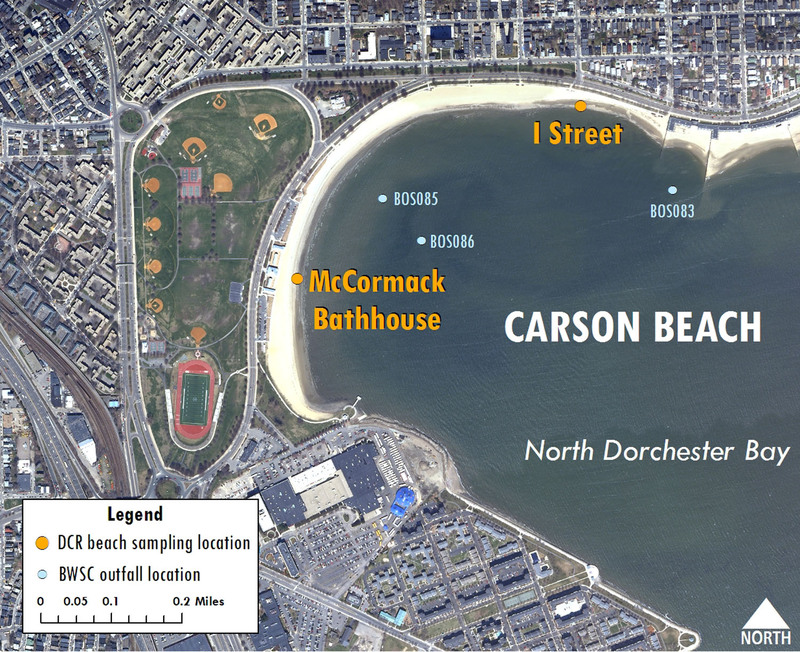 Water quality at Wollaston, Carson, Constitution, Tenean and Pleasure Bay beaches is tested by the Department of Conservation and Recreation (DCR) with assistance from the Massachusetts Water Resources Authority. 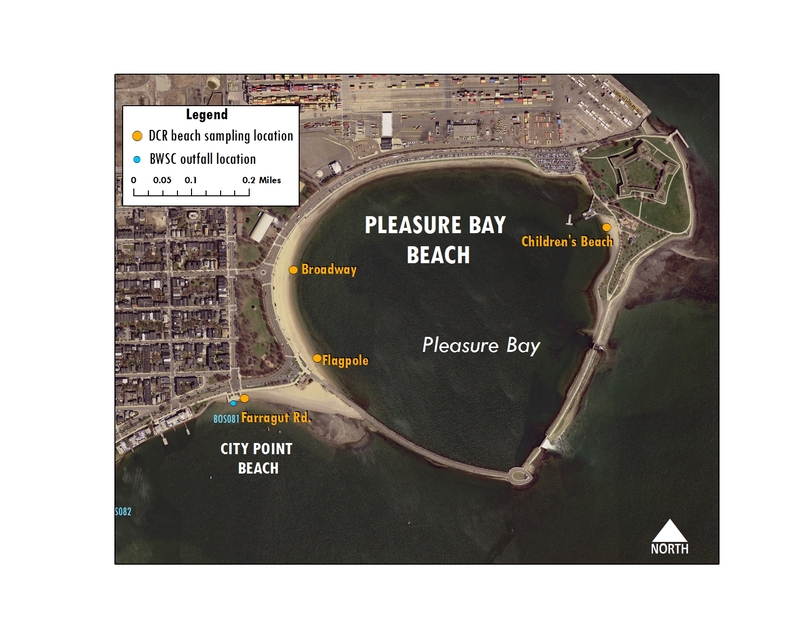 For more information and other beach water quality links, visit MWRA's Boston Harbor Beaches page.